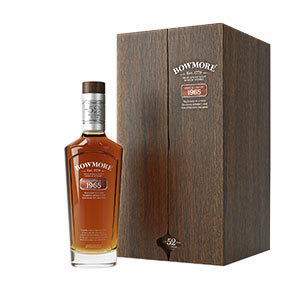 Bowmore 1965 is 52 years old. With gift-giving season upon us, there’s no better time for new whisky. First up, Maker’s Mark has a very special Private Edition coming out in December—a custom bourbon created by the competitors on Bravo’s Top Chef. Just a few hundred bottles are available for $80 each, going on sale after the second episode of season 16 airs on December 13. Islay distillery Bowmore has unveiled a single malt distilled in 1965 and aged a whopping 52 years. 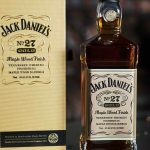 There are just 232 bottles available, but at a cost of $30,000, the list of eligible purchasers isn’t going to be too long. 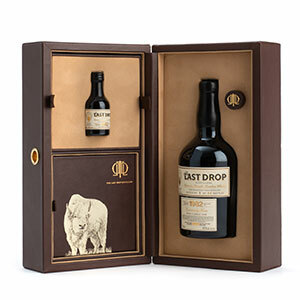 Meanwhile, boutique independent bottler The Last Drop is also rolling out a very aged whiskey—this one a bourbon distilled in 1982 at what is now called Buffalo Trace, but was then the George T. Stagg Distillery. It was moved out of barrel in 2002 to avoid becoming over-oaked. At 20 years old, with just 44 bottles available, the whiskey costs $4,000. Another bourbon from the George T. Stagg era is being released by Buffalo Trace. O.F.C. 1993 Vintage costs $2,500 and follows up three previous vintage releases from 2017. 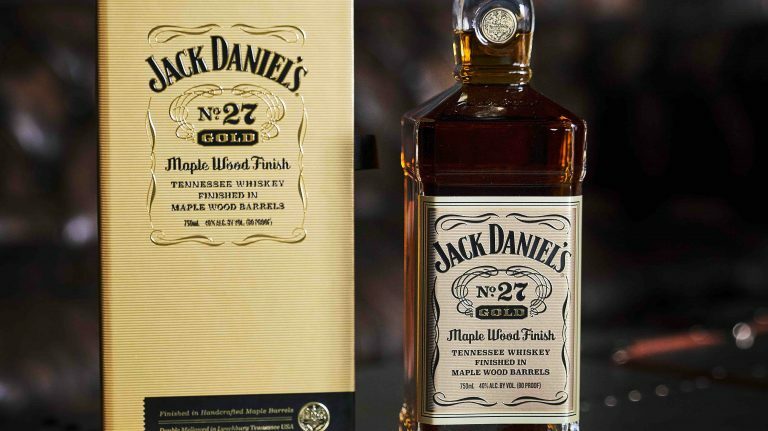 This time, there will be a lot more of the collectible whiskey available—though still shy of 1,000 bottles. More widely available and a lot cheaper is Kentucky Peerless Distilling’s 3 year old rye. The new whiskey follows up on last year’s release of 2 year old rye, which was number 15 in the 2017 Top 20. It has the same price of $125. Honeoye Falls Distillery is releasing its own Empire Rye, the style that New York distillers have banded together to create. 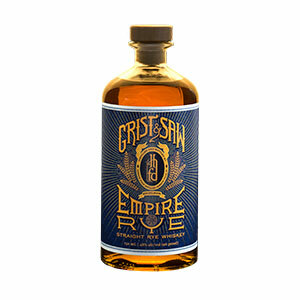 Grist & Saw Empire Rye is available now in New York and New Jersey for around $37, with nationwide distribution planned for next year. There’s a new bourbon made at Minnesota’s Panther Distillery, but named for a beach in Australia. 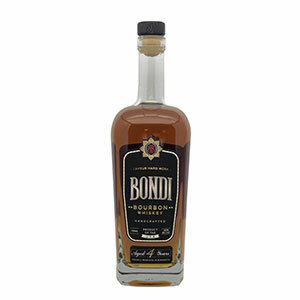 Bondi Bourbon is available in California, Minnesota, and Nebraska for $40. 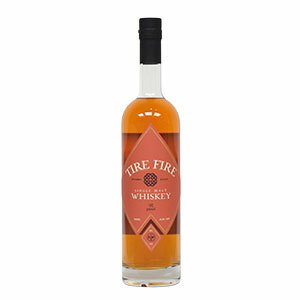 Atlanta’s ASW Distillery is releasing two new whiskeys: Tire Fire ($50), a heavily peated double-distilled single malt, and Druid Hill ($45), a triple-distilled whiskey made in the Irish pot still style with both malted and unmalted barley. 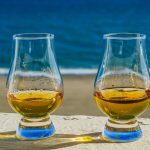 Both whiskeys are currently for sale in Georgia, with expansion to additional states planned next year. Finally, Devils River has launched two new whiskeys: a barrel-strength bourbon ($40) and a rye ($25). Both are available in several states throughout the west and southeast. The fourth installment in Bowmore’s Vaults Series, this is the only whisky so far released that is older than 50 years, clocking in at 52 years old. It was distilled and barreled in 1965, shortly after the introduction of steam-heated stills at Bowmore Distillery, which changed the way the spirit is made. 1960s Bowmore is the stuff of legend, garnering some of the highest scores ever given by Whisky Advocate. 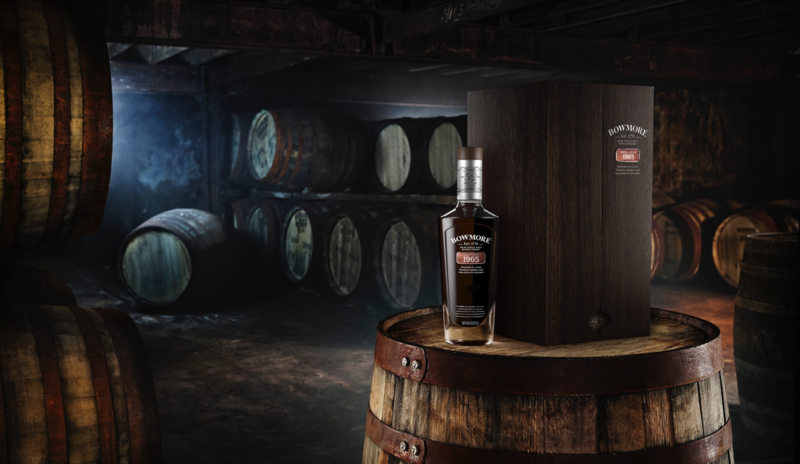 Undoubtedly, this whisky will measure up in quality. But at $30,000 a bottle, with just 232 bottles available, very little of it will likely be tasted, with most buyers snapping it up to add to their collections rather than to drink. Availability: 44 bottles, including 25 for the U.S.
Distilled in 1982 at what was then called George T. Stagg Distillery and is now Buffalo Trace, this bourbon was removed from the barrel in 2002 to avoid becoming over-oaked. Each full-size bottle comes with a 50-ml. miniature bottle for those who want to taste the whiskey without cracking into a collectible. 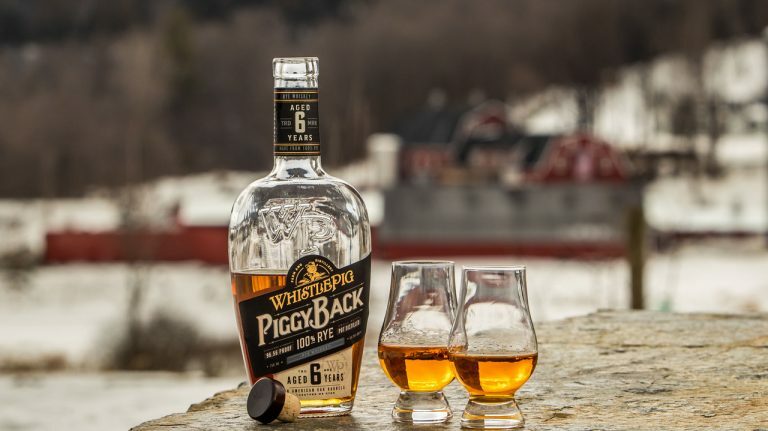 It’s not unusual for a whiskey to be removed from the barrel and placed into a neutral holding tank; after all, if the whiskey can’t be bottled immediately, but the flavors are just right, the distiller would want to keep the liquid from changing. Important to note, however, is that as soon as the whiskey leaves the barrel, it stops aging, which is why this whiskey is only 20 years old, despite being distilled and barreled 36 years ago. Made at what is now called Buffalo Trace Distillery (as noted above, it was previously known as the George. T Stagg Distillery and, even earlier, the O.F.C. 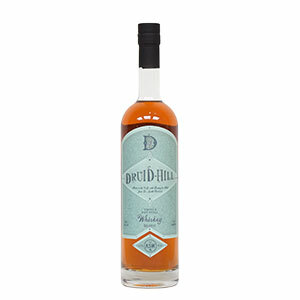 Distillery) this whiskey was distilled in 1993 and matured a full 25 years in new charred oak barrels. It comes packaged in a crystal bottle with a wooden box and a provenance card and label detailing the milestones of the year 1993. 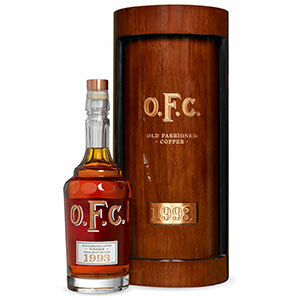 There’s more of this bourbon available than the previous three O.F.C. vintage releases; however, considering those whiskeys’ barrels each yielded 18-63 bottles, that’s not saying much. Still, with less than 1,000 bottles of the 1993 vintage available, this will definitely be a hard-to-get whiskey, snapped up by collectors. Kentucky’s Peerless Distillery is releasing its rye at 3 years old. The whiskey is bottled at barrel proof (so the ABV varies) and is the same price as the 2 year old at $125. 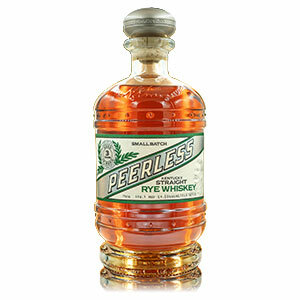 Peerless makes some of the best young rye around; Whisky Advocate named its inaugural release, at 2 years old, number 15 in the 2017 Top 20. Don’t hesitate to try this whiskey if you’re a rye lover. Honeoye Falls joins eight other distilleries that currently have an Empire Rye on the market: Black Button, Coppersea, Finger Lakes, Kings County, NY Distilling Co., Tuthilltown, Van Brunt, and Yankee. When the first Empire Ryes were released in 2017, Whisky Advocate tasted through them and selected four of the best. This is a 4 year old straight bourbon distilled at Minnesota’s Panther Distillery. It’s named after Bondi Beach in Australia, where, one day, co-founder Mark Convery (a Canadian) was sipping bourbon and became inspired to start his own brand. Though Americans might be surprised to know it, Australia is a big market for bourbon, especially Jim Beam. 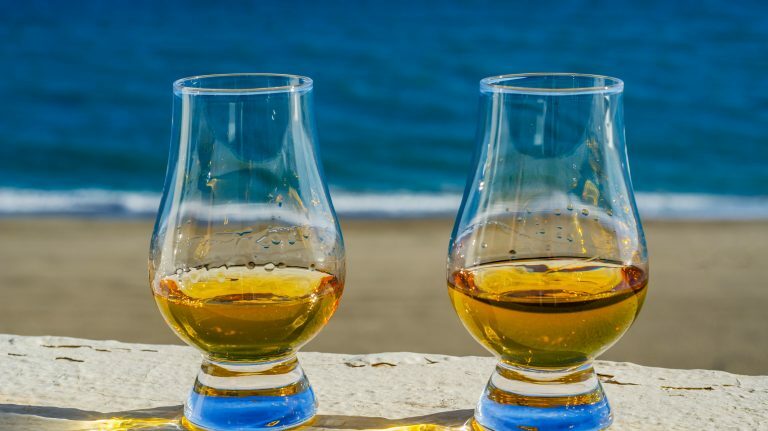 So perhaps it makes some kind of sense that there’s now a bourbon brand named for the country’s most famous beach. How does it taste? Whisky Advocate will let you know in an upcoming issue—stay tuned! This whiskey is made with heavily peated malt (45 ppm) from Scotland. It is double-pot distilled with the mash solids in the still, rather than with the grain removed as is common for pot stills, and is aged in new charred oak barrels. Head distiller Justin Manglitz was inspired to create this recipe by traditional Irish pot still whiskeys. Made with 70% malted and 30% unmalted barley from County Louth, Ireland, this whiskey is triple pot-distilled and aged in new charred oak barrels. The name refers not only to Celtic priests, but also a neighborhood in Atlanta, where ASW Distillery is located. American distillers have been making single malt whiskey for years, but fewer have attempted their own iterations of pot still whiskey, a distinctly Irish style. Both of these whiskeys are aged in new charred oak, typical of American whiskey but rare for Scottish or Irish single malts or pot still whiskeys. 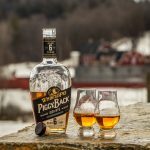 Initially distributed only in Georgia, the whiskeys will be available year-round in Tennessee, South Carolina, and elsewhere starting in July 2019. 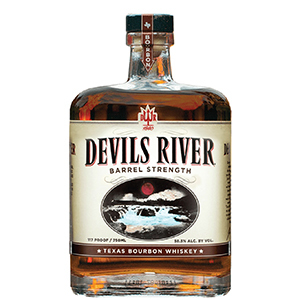 This is a barrel-proof version of Devils River’s high-rye bourbon, made with a mashbill of 75% corn, 21% rye, and 4% barley and aged for two years. This rye whiskey was distilled in Texas from a mashbill of 51% rye, 45% corn, and 4% barley, and aged for two years. 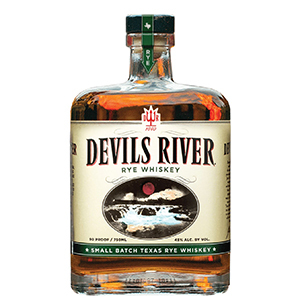 Devils River’s whiskeys are made with 100% Texas-sourced grains at an undisclosed Texas distillery. The company is currently renovating a historic building in San Antonio that will become its distillery, with a goal of opening in the summer of 2019.